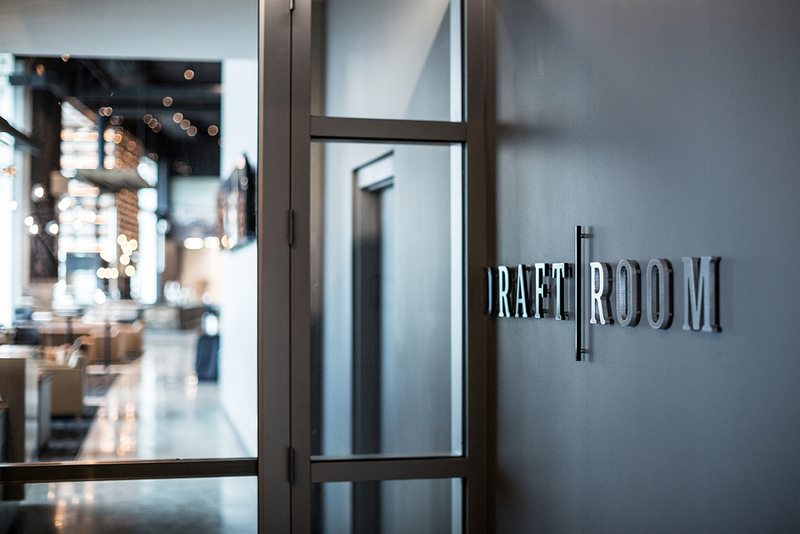 The Draft Room, is a new all-inclusive premium club and is one of several new premium clubs in FirstEnergy Stadium. Influenced by the bars found in the Ohio City neighborhood on Cleveland's near west side, the Club features a behind the bar keg wall and a large mural with images of Browns draft picks over the years. 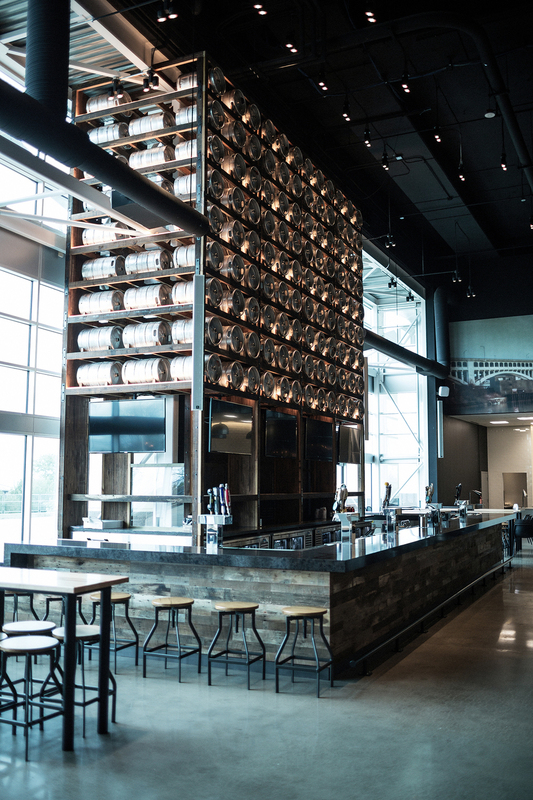 The updated premium seating is situated at the 50-yard line on the north side and consolidates what used to be a room split into a bar and a Browns Hall of Fame. The Draft Room is part of a 2 year renovation plan that includes new signage and banners, makeovers on all of the concession stands and unique food offerings. Rustbelt Reclamation was commissioned for several projects in the stadium in collaboration with Interior Design firm Richardson Design, the Project Architect Gensler and the Construction Manager Turner Construction. 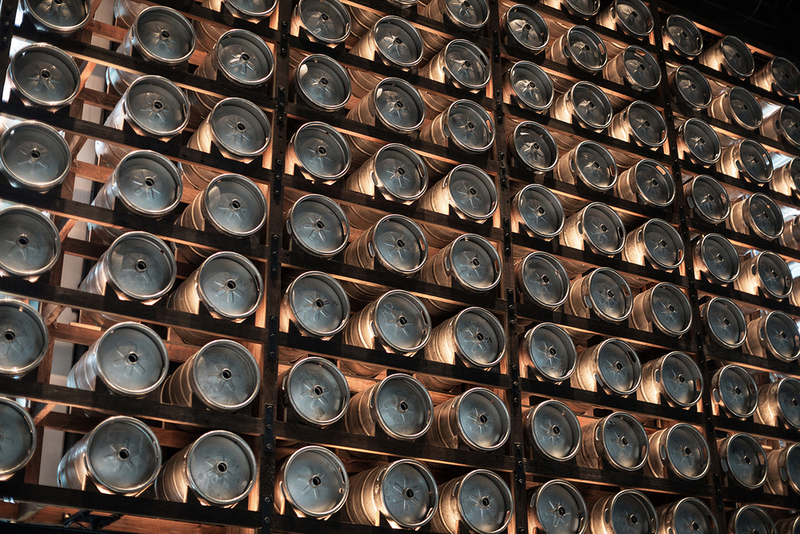 Rusbelt Reclamation was commissioned to provide pre-finished reclaimed material for the over 30ft tall keg wall. 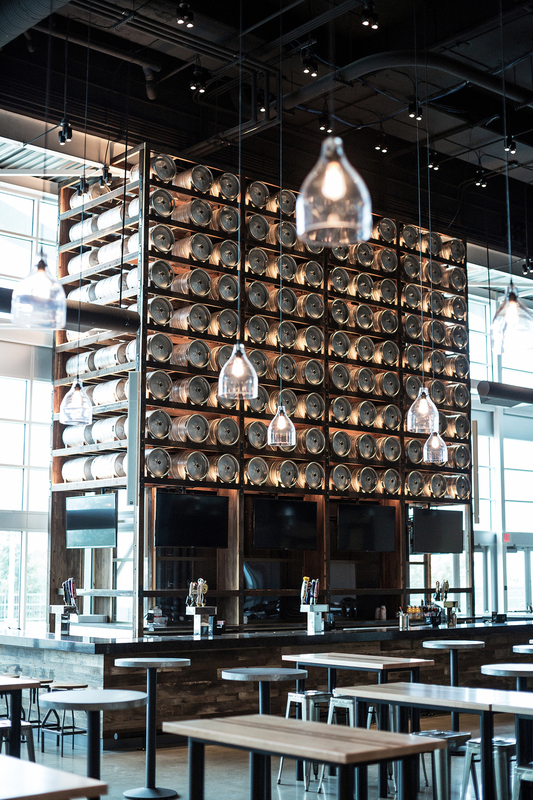 The material that was used to fabricate this towering keg rack was salvaged from a multi-family home at 2449 East 83rd Street in Cleveland, Oh. Built in 1915 in the Fairfax neighborhood of Cleveland, OH, the home contained five apartment units totaling 3,914 square feet of living space. 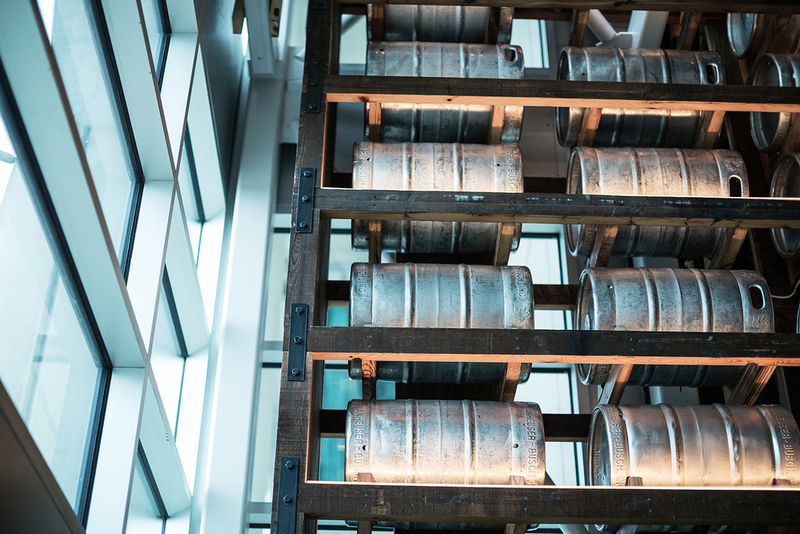 The dimensional lumber salvaged from the structure and used in the construction of this keg rack is old growth Southern Yellow Pine.